Lee Schipper at TRB. Photo by Ethan Arpi. 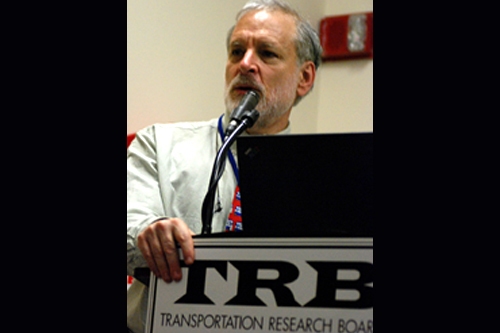 Every year in January, the U.S. National Academy of Sciences Transportation Research Board holds it’s annual meeting. Over the years, this meeting has become one of the largest transportation conferences in the world, drawing over 10,000 transportation professionals and enthusiasts to Washington, DC for the week long event. Tags: Integrated Transport, United States, Washington, D.C.